Perhaps it’s the effect of Tesla’s Model 3 launch and SpaceX’s simultaneous Falcon 9 landing, but the high tech wave of the future has been brought into the present. Pair that with the fact that our smart phones have a more powerful computer than the ones that sent astronauts to the moon—and even the one that sent the Orion spaceship to Mars two years ago, and it’s no wonder that we have absorbed smart technology into our daily lives. And now we’re seeing this sonic tech boom spread into our homes. 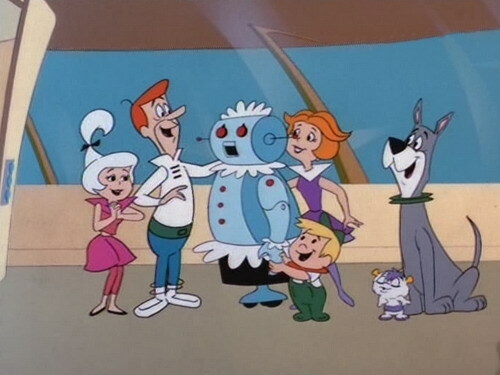 Ready for the Jetsons, 2016? While we may not have a Rosie yet, there are still many ways that the space-age lifestyle of the Jetsons is not only becoming accessible but the norm. In fact, Coldwell Banker’s 2016 Smart Home Marketplace Survey found that 45% of home buyers in the U.S. were looking to invest in smart home technology within this year. And of those homeowners, 65% said they’d be willing to pay over $1,500 for the technology, and 40% more than $3,000. While some smart home technology isn’t seen as a priority (smart appliances such as refrigerators, washers, and dryers), smart devices that monitor the home’s safety and climate were the popular frontrunners. Total home control devices, such as this one by Savant, can control your home’s lighting, shades, climate, security, cameras, irrigation, and pool and hot tub from one device, as well as home video and audio systems. And new security systems allow you to monitor security cameras, lock or unlock doors, arm or disarm your security system, all from your iPhone or iPad, from anywhere in the world. The Jetson age is about peace of mind. If you have an Apple TV or similar gadget, many people would already consider that to be a step toward having a smart home. “High tech” has become just “tech,” slipping almost seamlessly into our lives. And judging by this ad from Kohler, maybe Rosie the Robot isn’t so far off after all. At Modern Home Systems, we’re here for your smart home needs, whether you’re ready for a Jetson’s home or you want to take baby steps into your technology. We’re also an Apple Authorized reseller. To explore your options for a mainstream smart home, contact us at www.modernhomesystems.com.